Bangladesh will send a medical team to Kathmandu today to provide treatment to the injured Bangladeshi passengers of the US-Bangla Airlines crashed aircraft. The seven-member medical team, comprising physicians of Burn and Plastic Surgery Institute of Dhaka Medical College, lead by Associate Professor Dr Lutfar Qader Lenin will leave Dhaka at 11 am today by a Bangladesh Biman flight. An US-Bangla Airlines flight crashed and burst into flames while landing at Kathmandu with 71 people onboard including crews -- 36 from Bangladesh, 33 from Nepal and one each from China and the Maldives -- on Monday. 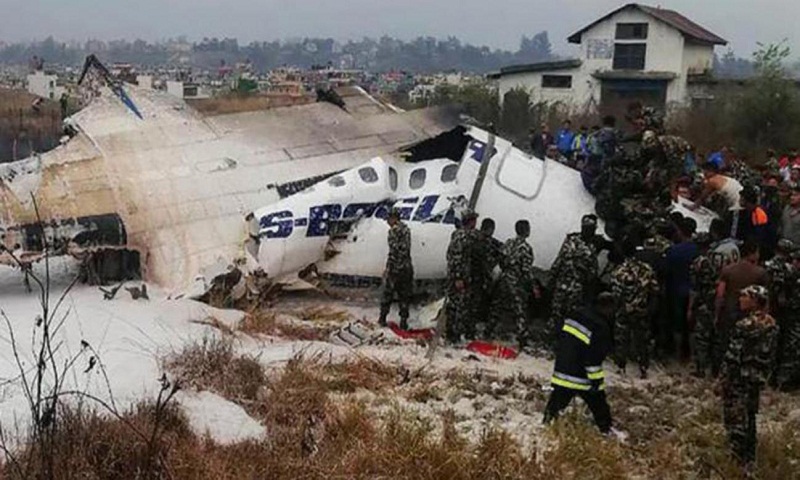 Twenty-six people out of 36 Bangladeshis, including the pilot, first officer and two cabin crews, were killed in the crash and rest of the 10 injured passengers are admitted at different hospitals in Kathmandu.